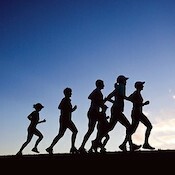 Promoting health & wellness in the Twin Cities through running, road racing, and track & field. No upcoming events hosted by Twin Cities Track Club at this time. View other local races in Saint Paul.